Designer Klemens Schillinger is known for designs that encourage people to disconnect from the excessive stimulation of the world. His newest product is a lamp that only lights up once a user places their smartphone in a special drawer that also acts as the base of the lamp. 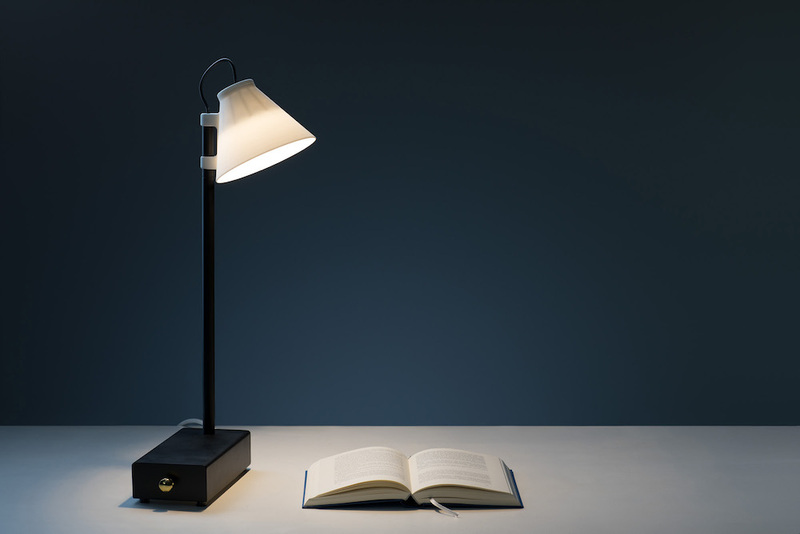 Since most people have uncontrollable urges to check their phone, Schillinger hopes that the Offline Lamp is a way for people to “trade” this habit for something more productive like working or reading. The drawer is also beautifully designed and created specifically so any standard smartphone can fit into it. With a brass handle and deep royal blue lining, it is meant to resemble a magical chest. The drawer also has the ability to recognize the weight of the smartphone, making it possible for it to distinguish between a smartphone and a placeholder.